This fully responsive Landing Agency HTML5 Template will greatly improve your internet presence. This is a simple, fast and user-friendly template for your agency website. This HTML5 Template has a stylish design, it's fast, easy to use and simple to manage. 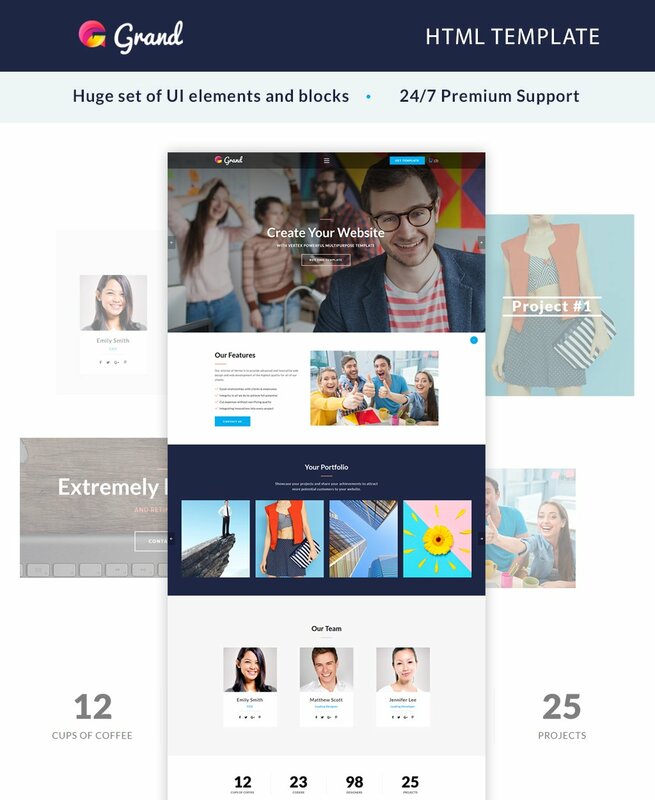 Choose among many different layouts to customize your template to make it look really unique. With this HTML5 Template it's also easy to get in touch with your customers and get comments and replies from them. It also supports blogging functionality, so you can easily set up a blog about your agency news and events. Just install this template and be sure that your agency will be represented on the web from the best side. For all our products we offer 24/7 lifetime support.